Fee: $20 for members and $25 for non-members plus a $12 supply fee paid to instructor on day of workshop. 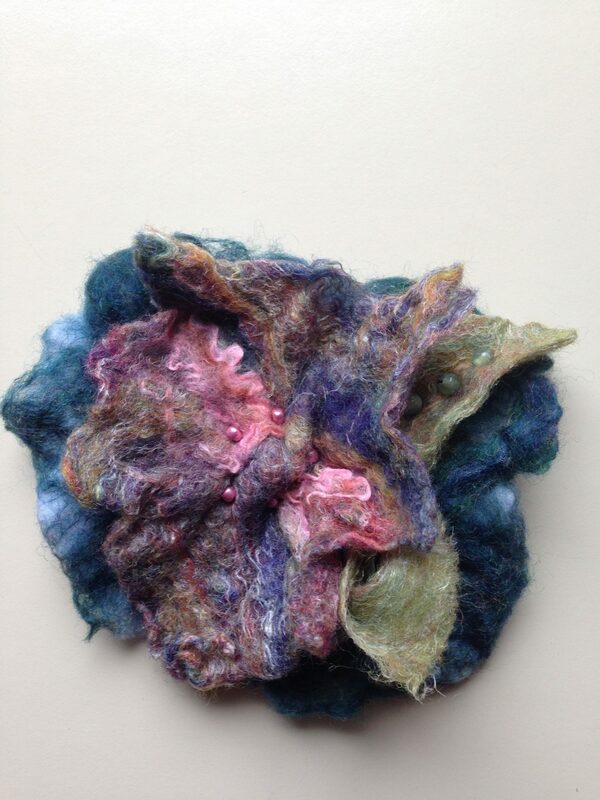 Lyn will teach you how to make felted balls, ropes and flowers to use as stand alone pieces, in combination with each other, or with standard jewelry beads and findings to create one of a kind pieces of wearable pieces of art. All experience levels welcome. Students are encouraged to bring any standard jewelry beads they wish to use. All other materials provided.